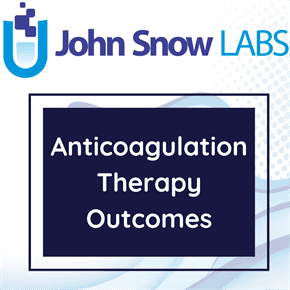 This research study published in BioMed Central Health Services Research compared the patient outcomes between Dutch Anticoagulant Clinic (AC) regions taking into account the variations in chronic care management (CCM) in order to explore whether these CCM elements could improve the quality of oral anticoagulant therapy (OAT). This study was performed to identify the differences in patient outcomes and their relationship with chronic care management of OAT. The Chronic Care Model (CCM) of Wagner was used to identify the elements of chronic care management. The CCM captures six components which all conceive elements on practice level to structure chronic care such as software applications for decision support or education for self-management support. The CCM elements that were included in this questionnaire were selected and made measurable based on the literature and the expert opinion of about twenty professionals working in the thrombosis field. The characteristics of the chronic care management identified with the questionnaire were described by five components of the CCM namely: health care organization (i.e. the organizations’ focus on chronic care for instance by incident reporting system); self-management support (i.e. supporting patients to manage their condition for instance by self-management education); delivery system design (i.e. the organization of providing care such as other roles/teams); decision support (i.e. integration of evidence-based clinical guidelines into practice for example by a reminder system) and clinical information system (i.e. systems that support the information exchange). First, the associations between the individual chronic care elements and the quality of care were studied as shown in this dataset. These regression analyses were corrected for the type of reagent (Innovin or other reagents) which was significantly associated with quality of care (p = 0.008). The analysis showed that the variables ‘insight in waiting times’ (as proxy for patient orientation) and the ratio ‘specialized nurses versus doctors’ were associated with a significant higher number of patients within the therapeutic range. Furthermore, only the ratio ‘specialized nurses versus doctors’ are statistically significant associated with the number of patients within the target range. No statistically significant associations were observed with the number of patients below the therapeutic range. Second, the association between the overall use of chronic care management and the patient outcomes was studied. The analysis showed that the use of more CCM components was positively associated with better patient outcomes since the number of components was associated with a higher percentage of patients within the therapeutic range (B = 1.248; p = 0.017) and target range (B = 1.358; p = 0.024). The use of more CCM components was not significantly associated with the percentage of patients below the therapeutic range (B = -0.485; p = 0.073). BioMed Central / BioMed Central Health Services Research / PubMed Central / U.S. National Institutes of Health's National Library of Medicine (NIH/NLM).